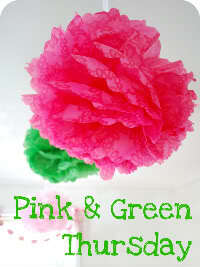 Well I am finally joining Trish in celebrating all things Pink & Green. Yesterday I stopped by Cox Farms on my way home from work. After I saw all the gardening goodies my friend Lacey got, I couldn't help but go the very next day. Here are some of my additions to replace what Virginia's hot summer temperatures have taken away. In true pink and green fashion. I now have a lot of basil plants, I'm hoping to make some pesto down the road and not feel racked with guilt each time I pick some! There's lots more where that came from, hopefully I can get everything planted later today! 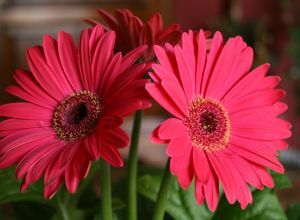 I LOVE pink gerber daisies!! Those and sunflowers are my favorites! Beautiful flowers! I tried your chicken salad recipe yesterday and I love it! Mmm - basil! I love the smell of fresh basil. I have been cooking with mine so much this summer. Tonight I'm doing pasta with olive oil, heirloom tomatoes and basil. 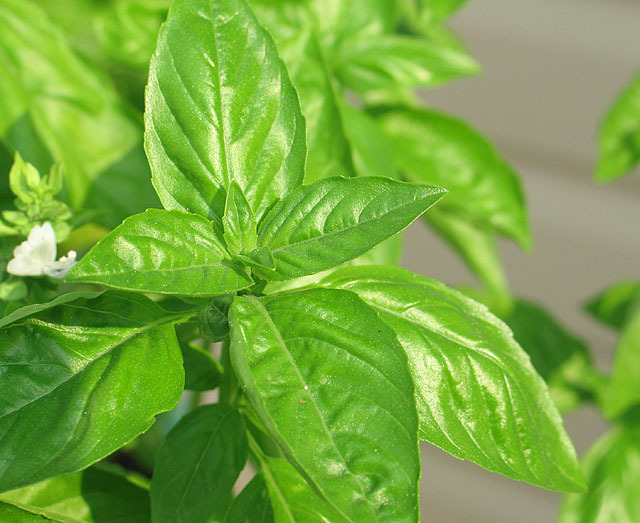 Fresh basil is my favorite herb! It adds the best flavor to even the simplest of dishes!!! Yum basil! I should definitely have bought a basil plant considering all the basil I use. If you need a good homemade pesto recipe I have one!